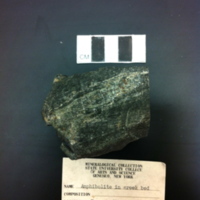 The sample is very dark grey with light grey foliations. 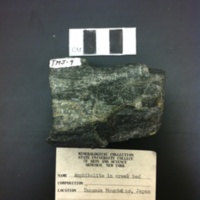 The sample displays thin layering, some areas of chemical weathering, and microfoliations. It is aphanitic. There is quartz- like residue on the outside of the sample. It has a smooth feel throughout. You can see very fine crystals within the thin section under the microscope. 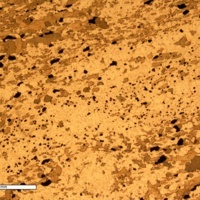 There is also a irregularly-shaped fracture within a quartz crystal. 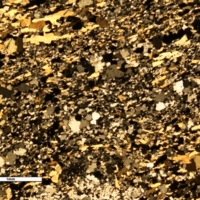 The sample is hypocrystalline, fine to medium sized glass crystals that flow with the rest of the minerals. 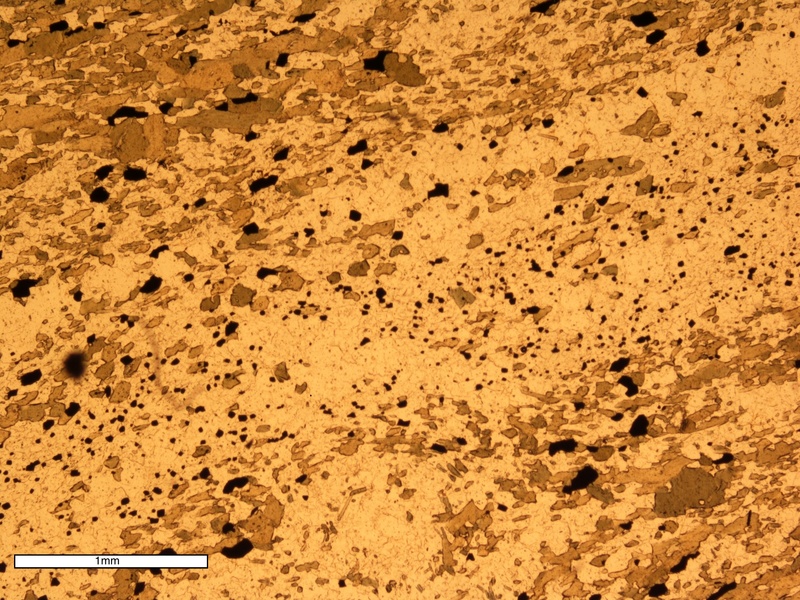 A lot of the quartz is intergrown within augite crystals. 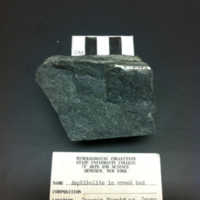 Purchased from Western Minerals Inc.
“Amphibolite ,” Geneseo Geoscience Collections, accessed April 25, 2019, http://www.geosciencecollections.milne-library.org/items/show/349.